The cover photo from the History in Color series features one of the finest athletes of the Golden Age of the U.S. Olympic weightlifting Dave Sheppard (1931-2000) performing a clean-and-jerk lift in 1953. David Sheppard was born in 1931 in NYC. He began to train in Olympic weightlifting at 11 which is very early. Especially, for the 1940s. Prior to this, he was active in gymnastics. As a teenager, he won a few local competitions in the 60kg weight class and at 17 he won the second place at the junior national championship. Sheppard was a pioneer of the squat style in Olympic weightlifting. In the years when split style was dominant, he was a brilliant squat style technician. Needless to say, Dave was a fascinating athlete and, in training sessions , he was able to lift split style almost as much as he lifted squat style. Sheppard was a 3x national champion (1954, 1955, 1958). In his career on the international arena, Dave Sheppard represented the United States at the 1956 Summer Olympics in Melbourne and won a silver Olympic medal in the 90kg class. Sheppard won the Pan American Games in 1955 and was a 4-time vice champion of the world in 1951, 1953, 1954 and 1958. He was a world record holder too. Dave Sheppard was also a very significant Team USA athlete in the historical matches between Team USA and USSR in 1955 and 1958, as well as tour of Team USA to Iran and Egypt in 1955. At the 1954 World Championship in Vienna, due to the team interests, Sheppard was moved from the light heavyweight class to the middle heavyweight class and with a 84kg body weight represented USA in the 90 kg class. After the first two lifts, he was second to Arkady Vorobyev. So, in the clean-and-jerk, he secured the silver medal with the 167.5 lift and then added… 20kg (!!!) to reach for the gold medal. Considering that Sheppard’s bodyweight was only 84kg and that his teammate Tommy Kono just set the 172.5kg world record in the 82.5kg, it was an enormous weight to capture. 187.5 kg was even well above the world record in the 90kg class set by Norb Schemansky (181kg). What happened then became a part of the historical epics of the sport. In the first attempt, when no one expected from Sheppard to succeed, he slowly pulled the weight from the platform and then cleaned it but… failed to stand up. In the second try at 187.5kg, Dave cleaned the weight and after a big struggle got up with it but failed to jerk it off the chest. The crowd gave the athlete a loud round of applause. They saw one of the most beautiful and moving moments of Olympic weightlifting – the moment when the athlete pushes the limits of what he can possibly lift. Those who saw Dave Sheppard in the competitions or saw him in archival footage remember his trademark – his captivating smile on the platform. He really payed a special attention to this. Sheppard considered theatrics of weightlifting as important as its athletic aspects. Dave Sheppard was a magnificent technician. Even today his lifting techniques looks impressive. With all these said, Dave always shared his knowledge and techniques. He actually helped many of his teammates to master the techniques. The list of these athletes include such lifters as Isaak Berger, Dave Ashman and more. It’s a known fact that all his life, when he was an active lifter and after his retirement, Dave Sheppard was helping everybody in the gym. It didn’t matter whether it was someone struggling with the 50kg or 250kg lifts. 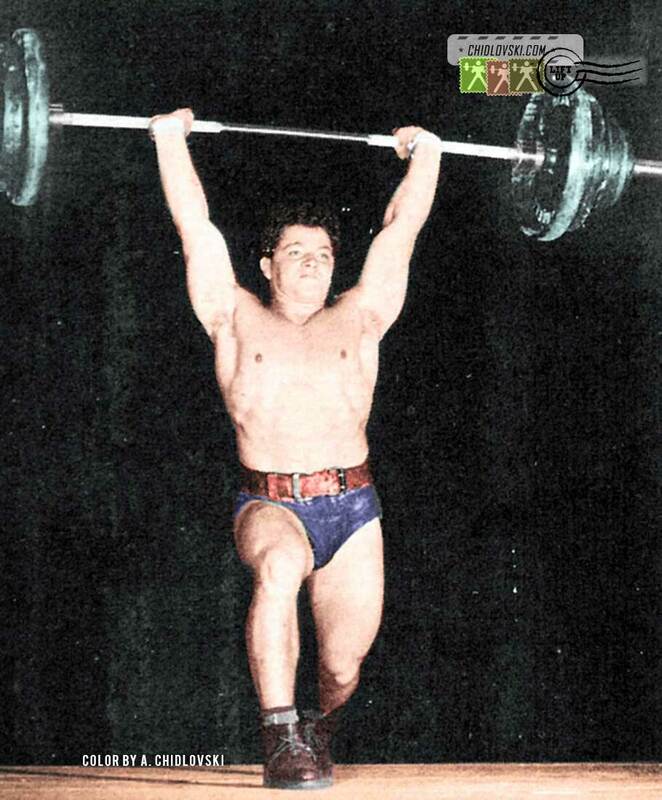 David Sheppard was a true legend of Olympic weightlifting. Memories of him come from the vintage covers of the Strength and Health magasines, from the results and footage of competitions and from unforgettable stories of those who knew him.